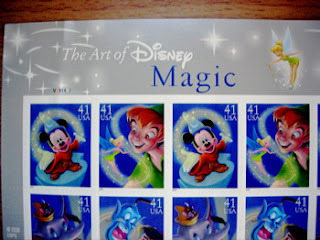 This is "The Art of Disney - Magic" sheet of U.S. Postage Stamps, released by the U.S. Postal Service recently. 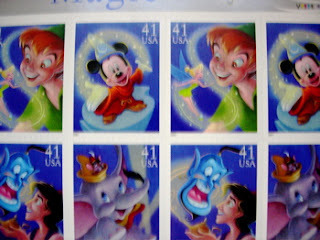 I was sending some tax returns at the Post Office yesterday when I noticed the clerk had these new stamps. 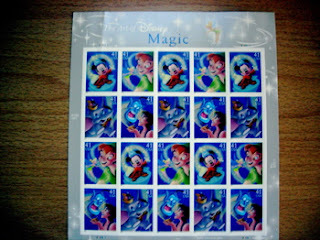 There are 4 different styles of stamps on the sheet, and 20 stamps total on the sheet. These stamps are beautiful and frameable. They also make for stylish postage!